Several of the Kellogg’s cereals sold in Japan are, interestingly, local brands only available there. One of these is Kombo, which featured a gorilla named King Kombo as the mascot. 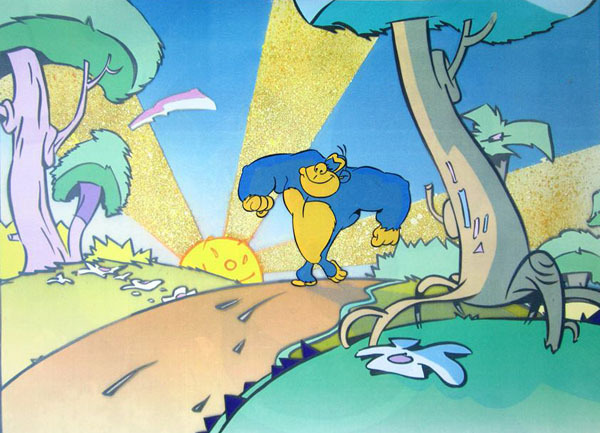 The commercials often feature the strong gorilla in a competition against a group of other jungle animals, with King Kombo wiping them out with very little effort. The other jungle animals, in a last ditch effort, would distract him by pointing to a bowl of Kombo, at which point the gorilla would yell “I can’t wait!” and rush to the cereal. Doraemon is one of the biggest franchises in Japan, with his face plastered on almost anything, so unsurprisingly he had his own cereal for a while, through Nagatanien. The animation was likely produced by Shin’Ei Animation, who produces the (still running) TV series. Calbee, a major snack food company, also have their own line of cereals with generic names such as “Ichigo” (Strawberry) and Brown Sugar. For these, they feature the likeness of Charles Schulz’s “Peanuts” characters for boxes and adverts. It looks like these commercials were produced in the ‘States, likely through Bill Melendez’s studio. 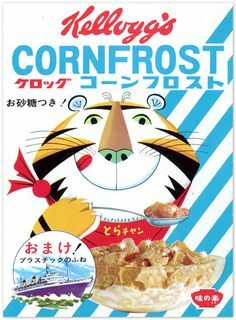 I mentioned that Kellogg’s cereals sold in Japan are mainly local brands, but they do sell Frosted Flakes (there called Corn Frosty) over there, featuring Tony the Tiger. Occasionally they would just dub the same commercials seen in the US, but they also made locally-produced adverts as well, just as these. Here’s a much later one, where Tony saves an anime girl. That’s what I call a vintage throwback! The Cornfrost (or Sugar Frosted Flakes here in the States) box reminded me of the original “SFF” boxes I’ve seen at my local grocer while growing up in the 1960’s. And the only time I’ve heard the Peanuts gang in Japanese was the Japanese dubs of It’s the Great Pumpkin,Charlie Brown and A Charlie Brown Christmas on their DVD along with the LATAM Spanish and Portuguese dubs that was included in the DVD. Normally Breakfast Cereals are a rarity in Japanese culture in Japan normally a type of Miso soup rice,tofu sardines and natto is the norm for breakfast. But now along with breakfast cereals,eggs,bacon,sausage,toast yogurt and sweet bread and coffee and other Western Breakfast dishes like Pancakes and Waffles are becoming part of Breakfasts in Japan. Those Peanuts spots were a real treat! 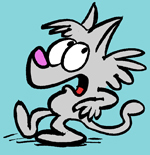 Those Peanuts spots are pretty much the work of Lee Mendelson/Bill Melendez Productions (except no substitutes!). I wonder how much input Charles Schultz had on foreign ads like these? I assume he at least signed off on the scripts.